Android TV. An all-in-one STB solution from Google. Set-top boxes, there must be a billion of them and, in most respects, they all pretty much do the same thing. Yet, with today’s rapid-pace rollout of new services and features, choosing the right operating system for the set-top box is crucial for business success. The future of the set-top box (STB) is a hotly debated topic in our industry. Some observers predict that the traditional STB has had its day and will soon be replaced by plug and play cloud-based capabilities and apps. However others believe the in-built power and capability of the modern STB, with its pivotal role as broadband-connected conduit to the home, spells the STB’s continuing relevance. STBs help the user seamlessly navigate multiple content sources, unlike the connected TV where disparate apps still need to be scoured one by one, The STB is a convenient source of myriad features and can be a gateway to a larger value-rich content ecosystem. The choice of STB will for some time remain one of an operator's most pivotal business decisions. STB hardware is often the most expensive part of the network. So there’s a lot at stake, and making the wrong decision can spell disaster. An added layer of complexity is the choice of technology platform, or operating system, on which to base STB strategy. This decision underpins an operator’s business roadmap. With our rapidly changing technology landscape, staying up-to-date with all the options, and understanding their relative advantages and disadvantages, can be a major challenge. The choice of RDK vs Android is a conundrum many operators are considering today as they plan their STB deployments. And within Android, there are two main flavours, AOSP (Android Open Source Project) and Android TV, which differ fundamentally in terms of their offerings and resources for operators. Importantly, they also involve different degrees of engagement with, and commitment to, Google. STBs built on RDK (Reference Design Kit) have become extremely popular in recent years thanks to their wide availability and low prices. RDK provides a common interface to the hardware system. It is in effect a universal System-on-a-Chip (SoC) – a powerful basis on which to build bespoke apps and UIs. However RDK does come with drawbacks. In comparison with the rapidly developing Android ecosystem, RDK is a no-frills DIY solution. There are no out-of-the-box extras like a ready-made app store to add instant appeal for viewers. Both Android TV and AOSP bring in an entire ecosystem, with libraries and frameworks, all elements which are limited with RDK. Also, AOSP adds a whole layer for application development, something which RDK is largely missing. As STBs become more intelligent, both service provider and viewer benefit from more channels, services and features. With RDK, the provider needs to externally source an app store and other complementary features. Typically this will lead the operator to adopt middleware from a major supplier as a basis for development. The operator needs to ensure the necessary development expertise resides in-house or is readily and economically available elsewhere. The caveat in this case however is that as the proprietary owner, the middleware vendor’s own strategy and rules of engagement inevitably will have an influence on the service provider’s business. The operator must be agile enough to understand and react to the middleware partner’s technology changes and to accommodate these seamlessly. Swisscom broke new ground in 2013 when it decided that Android was to be its STB operating system of choice for the new Swisscom TV 2.0 service. Its courage in selecting an unconventional operating system, never before used for a major multiscreen pay-TV platform, has demonstrably been rewarded. The AOSP-based Swisscom TV 2.0 platform has since been widely acknowledged as having set a new standard in user-friendliness and attractiveness to audiences. Service providers around the world are currently striving to emulate the Swisscom TV 2.0 model. Developing a platform based on Android four years ago was no mean feat. Many TV set features and settings had to be adapted to support Android TV and these developments have since become integral to the system. Furthermore, ensuring seamless interoperability with each key business system - including DRM, subscriber and content management, among others - constituted technical ‘firsts.’ Today, the Android technology proposition for the TV environment is much further advanced. Android's offerings for pay-TV providers come in two distinct forms. AOSP comprises the source code based on Linux and represents a pure code base. It does not include Google’s many handy extensions such as Google Play, installation wizard, or its mobile/TV services. However operators adopting AOSP do benefit from being part of the mammoth ‘Googleverse’. Apps can be developed with the Android SDK and Java. Also, UI libraries and other resources are freely available to create engaging viewing experiences. Those who build their STB on AOSP also can enjoy smoother integration on top of middleware. But choosing AOSP does mean that the operator must look elsewhere for an app store, and needs an engineering team on staff with all the necessary integration, development and maintenance know-how. 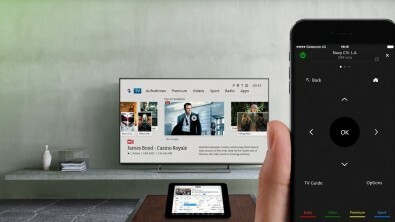 The AOSP-based Swisscom TV 2.0 platform has since been widely acknowledged as having set a new standard in user-friendliness and attractiveness to audiences. Another consequence of working within the Google ecosystem is being subject to all the technical and commercial conditions which the Google may dictate – at any time. The operator must have the capability to accommodate Google’s requirements rapidly such that the subscriber experience is not negatively impacted. Furthermore, for any operator, the economics of having this level of skill and expertise in-house need to stack up. AOSP might be the choice for those wishing to mitigate against competitive content offerings. For example, AOSP could be attractive for broadcasters, smaller service providers or for an STB manufacturer to differentiate from smart TVs. An operator might choose AOSP if resistant to external influences such as being compelled by Google to incorporate search results from apps and channels, or to display Android partner recommendations into the real estate of the operator’s application. AOSP comes free of such requirements. Android TV, in contrast, is an all-embracing solution for STBs. Android TV combines AOSP firmware with all of Google's proprietary audience-engaging enhancements and operator toolkit. The biggest benefit of selecting this approach is that you become part of a highly recognized and popular operating system, based on volume and reach. With Android TV, the operator is a fully paid-up member of the "club". As well as Google Play, popular third-party apps and content, such as YouTube, are readily available to offer to subscribers. Netflix certification is fast tracked and platform enhancements are continually being developed by resource-rich Google. In studying earlier iterations of Android TV, some operators were resistant to the search company's influence on the launcher user interface, and indeed to the giant's dominant role as de facto stakeholder in an operator’s business. More recently however Google has demonstrated a more collaborative philosophy towards operators. Today, operators adopting Android TV benefit from complete control of the UI, liberating them to connect with subscribers with a high-performance custom interface featuring their own branding, look and feel. However it is critical to remember that in this paradigm, an operator’s strategy is inherently impacted by any commercial and technical decisions made by Google. Nimbleness, and sufficient financial and technical resources are needed to react to required updates, and to make speedy adjustments to the technology platform whenever required. In the past 18 months for instance, Google has made several major system updates and any operator running Android TV would have been required to leap into action to ensure compliance. The operator additionally needs to be aware that delivering all the benefits of this approach requires a high-spec STB, which will likely command a higher price than with the AOSP or RDK alternatives. However, the STB requirements for Android TV have seen a downward trend recently. For many would-be operators however, these conditions are a small price to pay for the proven and popular features – and the superior user experience – which this platform promises. Many experts today see Android as a game changer for the global pay-TV industry. With its many out-of-the-box features, and its increasingly operator-friendly way of doing business, a major barrier is removed. The numerous advantages of today’s Android TV framework are proving persuasive to operators as they devise their STB plans, and this platform is opening up the marketplace to new entrants, encouraging greater competition in consumer choice. Swisscom broke free from legacy technologies when it selected Android AOSP for its TV STB, and since that time, our industry has been re-examining the Android proposition with fresh eyes. Android TV keeps getting more attractive, more stable and easier to integrate. 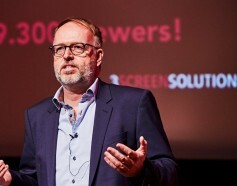 Kai-Christian Borchers, Managing Director of 3 Screen Solutions.